If you search for keywords like "free website" in Google, Google will list pages that according to the search engine fit the best to your keywords. The Google algorithm is very complex and the positions of your results are influenced by a number of factors. We want to give basic tips on improving your ranking. If you want to dig deeper into this topic, you will find links to further articles on the bottom of the page. There is a saying amongst search engine optimizers: the "content is king". "Content" refers to the content of a website. The saying expresses that a website with a lot of content is important for its positioning in Google. If your website in general is about the topic "cats", you should offer your visitors as much information about cats as possible. But don't write the text for Google, write it for your visitors of your website. The Google algorithm is very intelligent and notices if someone produces a long text with bad quality, only to be listed further front of the search results. 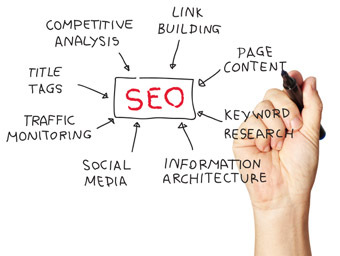 Search engines regard links as a type of "recommendation" whether the linked website is of high quality or not. Basically you can say: the more websites there are that have set a link to your website, the better your ranking is in the search engines. Do you know someone who runs a website? Then ask him to set a link to your website. Find out what other websites exist with the same topic as yours and find out which websites the competitive sites have linked. Ask the operators of the linked websites if they also want to set a link to your website. Links to your website often appear by one's lonesome if you have a good website with a lot of interesting content. This is because other people, with similar topics, are likely to link your content if they find it interesting and want to share it with the visitors of their own homepage. Google changes its rankings pretty often. If your website is relatively new, it does need some time until you get a good position in Google. This is for a number of reasons: First of all Google needs to acknowledge that your website exists. Google has developed a program that searches the Internet for new websites (the "GoogleBot"). The bot starts on any website he already knows, e.g. amazon.com. There the GoogleBot takes a look which websites have been linked. The GoogleBots follows these links and finds new links on the linked websites. As mentioned at the beginning of the article, there are many different ways of improving the ranking of your website. We have just listed some basic information. If you want to dig deeper and for further tips and tricks, you will find further articles under the category "Search engine optimization".